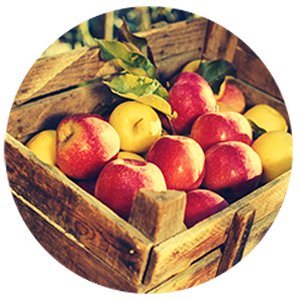 Order from an incredible range of global fruit and vegetable products. Fill in the form on the right or call 01704 540 400 now to speak to one of our suppliers. Quality is in the eye of the beholder, but you can’t afford to be lax when it comes to buying food for your business and your customers. Getting the best produce available, grown in the right way, is essential not just for getting yourself noticed, but for the health and wellbeing of your own customers and clients. We believe that standards can’t afford to be anything other than of the highest quality when it comes to food production. We only believe in growing, producing, and supplying the absolute best ingredients, whether it’s lettuce and tomatoes to more exotic produce including chillies, baby corn, sweet potatoes, and more. Our Lancashire farming arm, Richmond Farms, also goes above and beyond to grow only the finest, most exceptional ingredients throughout the entire year and grow the season’s finest crop on a consistent basis. Our European partnerships have also helped us to produce incredible food in the finest natural greenhouse environments on the planet. It not only allows us to provide essential quality control to our ingredients, but also allows us to have hands-on experiences with our products and provide the very best service for our customers. Richmond Farms is M&S Field to Fork, Tesco Nurture and Red Tractor certified. Getting the right fruit and vegetable producers isn’t just a case of investing in high-quality ingredients. It’s also about partnering with suppliers that work with you and your business, providing the right advice at the right times to help you get the most from your budget and grow. We also have partnerships with outstanding growers and producers across the globe, giving us access to the most amazing, delicious ingredients available in the world today. If you’re in catering, food services, or any other aspect of the food industry we can provide you with produce that your own customers will love at affordable rates. Nationwide Produce is one of the largest international providers of produce with operations across Europe and further afield, giving our clients a huge amount of choice for every month of the year when they’re looking to buy food that innovates and excites. Our own brands especially have helped us to win national acclaim. 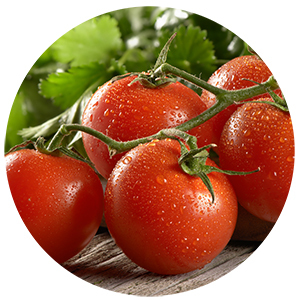 Our Fresh Delight salad products for instance are Class 1 produce that includes beautiful capsicums, iceberg lettuce, cucumbers and more, while our Red Delight range offers incredible tomatoes on the vine, including specially-grown Spanish tomatoes. Our growth as a producer since we started in 1975 has been phenomenal, and we want to share the benefits of our experience with clients and customers not only looking for the best ingredients, but who also want a positive long-term partnership that helps their business grow with the finest local and exotic produce available. Call 01704 540 400 now to speak to one of our suppliers.